As the University of Miami celebrates the year of Humanities and Arts, the MFA in Creative Writing formal reading series carries on its polyglot theme, exploring stories and poems in multilingual form and cross-cultural and political content in the Ibis Literary Reading and Performance Series. This year, we have invited five extraordinary writers and poets who write within and outside of the borders and expectations of contemporary American literature. We have once again, partnered with our friends at Books & Books. This year we bring our reading series and our own students out into the community to share with you the treasures of writers Pablo Medina and Justin Torres and as well as the poetic play of Oscar Bermeo, Barbara Jane Reyes and Valerie Martinez. 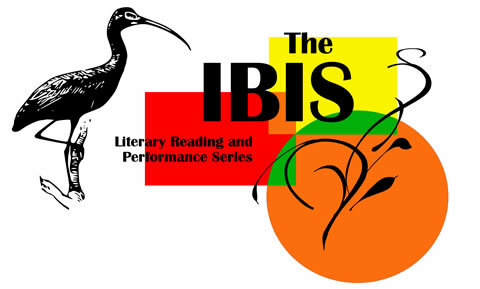 Take a ride on this magical bird and let the Ibis Literary Reading Performance Series carry you to new worlds. In the year of “Taking Flight” this Ibis is ready to soar. 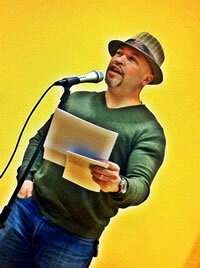 Pablo Medina has published 13 books of poetry, fiction, nonfiction, and translation. 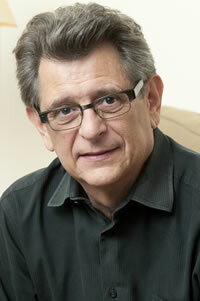 His most recent books include the poetry collection The Man Who Wrote on Water and the novel Cubop City Blues. 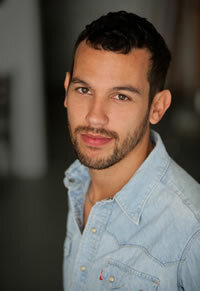 Medina’s work has appeared in magazines and journals worldwide and been translated into several languages. He has received fellowships from the Oscar B. Cintas Foundation, the state arts councils of New Jersey and Pennsylvania, the National Endowment for the Arts, the Rockefeller Foundation, and the John Simon Guggenheim Memorial Foundation and is professor in the Department of Writing, Literature and Publishing at Emerson College. Born in Ecuador and raised in the Bronx, Oscar Bermeo is the author of the poetry chapbooks Anywhere Avenue, Palimpsest, Heaven Below and To the Break of Dawn. Barbara Jane Reyes is the author of Diwata (BOA Editions, Ltd., 2010), recently noted as a finalist for the California Book Award. 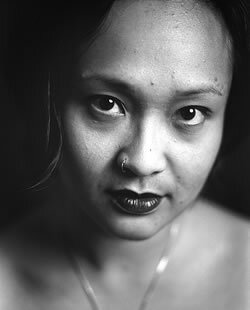 She was born in Manila, Philippines, raised in the San Francisco Bay Area, and is the author of two previous collections of poetry, Gravities of Center (Arkipelago Books, 2003) and Poeta en San Francisco (Tinfish Press, 2005), which received the James Laughlin Award of the Academy of American Poets. She is also the author of the chapbooks Easter Sunday (Ypolita Press, 2008) Cherry (Portable Press at Yo-Yo Labs, 2008), and For the City that Nearly Broke Me (Aztlan Libre Press, 2012). An Andrew W. Mellon Foundation Fellow, she received her B.A. in Ethnic Studies at U.C. Berkeley and her M.F.A. at San Francisco State University. She is an adjunct professor at University of San Francisco’s Yuchengco Philippine Studies Program, where she teaches Filipino/a Literature in Diaspora, and Filipina Lives and Voices in Literature. She has also taught Filipino American Literature at San Francisco State University, and graduate poetry workshop at Mills College. She lives with her husband, poet Oscar Bermeo, in Oakland, where she is co-editor of Doveglion Press. Valerie Martínez is a poet, translator, teacher, playwright, librettist, and collaborative artist. Her award-winning books include Absence, Luminescent, World to World, A Flock of Scarlet Doves, Each and Her, And They Called It Horizon and This is How It Began. Her most recent book, Each and Her (winner of the 2012 Arizona Book Award), was nominated for the Pulitzer Prize, the National Book Critics Circle Award, the PEN Open Book Award, the William Carlos William Award, and the Ron Ridenhour Prize. Her work has been widely published in journals, magazines, anthologies and media outlets including The Best American Poetry, the Washington Post, and the Poetry Foundation’s Poetry Everywhere series. 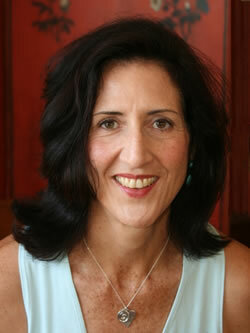 Valerie has more than twenty years of experience as a teacher, primarily at the college level. For over fifteen years, she has also worked with children, young adults, adults, teachers, and seniors in a wide range of community outreach and educational programs. She is Executive Director of Littleglobe, Inc., a non-profit collaborative of artists who work in community. Valerie has a B.A. from Vassar College and an MFA from the University of Arizona. She was the Poet Laureate of Santa Fe, New Mexico for 2008-2010.